A whole host of our activities are based in primary schools around Dublin. During these clubs, we seek to engage and encourage the children in activities tailored for both curricular and extracurricular pursuits. We run 4 different activities across 5 different schools. We run sports clubs, creative clubs, drama clubs and educational clubs. The aim of each activity is to facilitate the growth of children both in ability and confidence. This activity give the kids an opportunity to sit down and focus on their school work, which for many reasons may be difficult for them to achieve at home. The work you do may be as simple as quizzing their times-tables or testing their spelling, but the individual attention and encouragement you offer is invaluable. 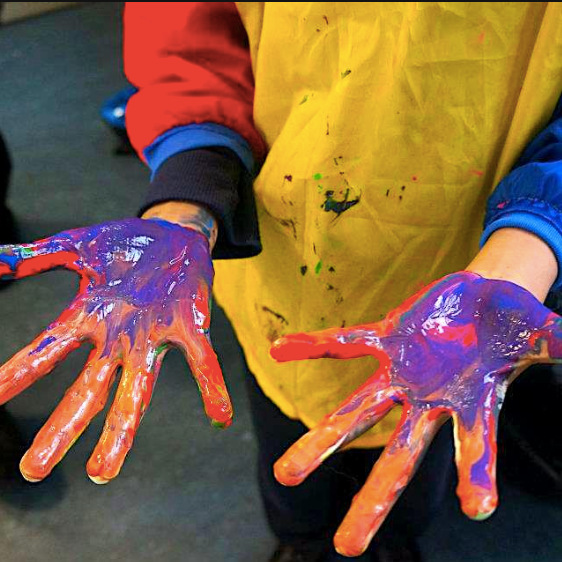 Creative club gives primary school kids a chance to get inventive and let their imagination run wild. They have a different craft planned every week, including some seasonal favourites (Halloween decorations, letters to Santa and Valentines cards to name a few), it's easily one of the most creative activities on offer. If you're enthusiastic, energetic, or think you can make kids smile with your acting abilities (or lack thereof), then the Drama Club is the way to go! Drama Club is an opportunity for kids and volunteers alike to let loose and improve self-confidence, playing games, singing songs, and having fun. Now is your chance to relive your glory days of fun and games in the school playground. This is a perfect way to just have a bit of fun and get moving. Exactly what it says on the tin, sport club involves organising and partaking in the classic games that we all know and love. All while encouraging the benefits of a bit of exercise as part of your day. The 5 schools we carry out these activities in are listed below. If you would like to get involved with a particular school then just shoot the relevant school leader an email!